You’re probably already thinking, “Huh?! Watermelon? Salsa? !” With an expression to match your thoughts. However! 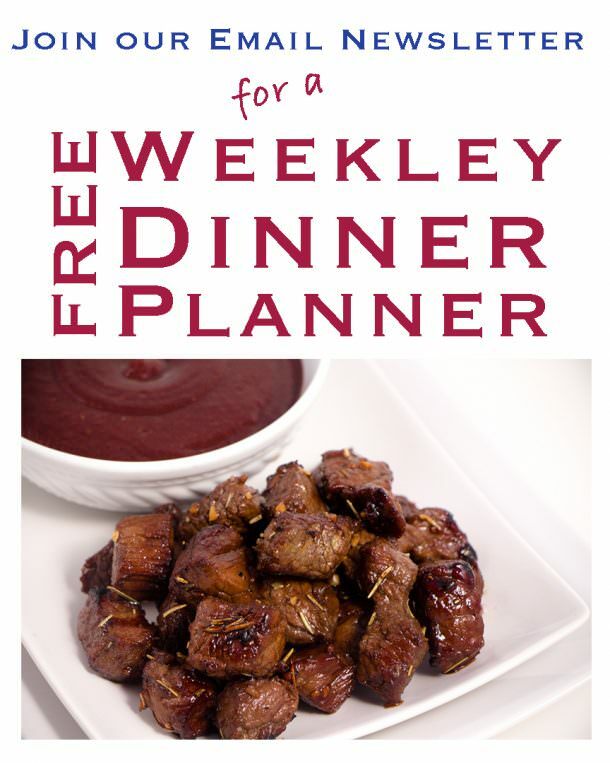 This is a new favorite recipe with surprising flavor and an addicting appetite. Taking from so many similar recipes out on the web, I took what I loved best and put it together. With a sweet watermelon and some honey, this becomes a party in your mouth when scooped up with a tortilla chip (WARNING: Tortilla chips required before party in mouth will occur). So refreshing it can be served as a side to any summer meal or as an appetizer to a meal. 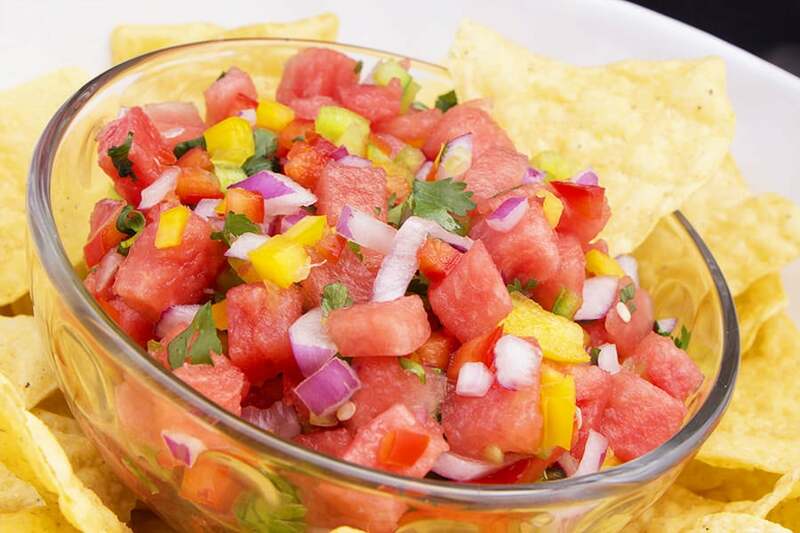 The ingredients are fresh watermelon, bell peppers (green, red AND yellow), red onion, cilantro, lime and a squirt of honey make up this simple recipe for Watermelon Salsa Dip. I love to serve this in a bowl with tortilla chips. My favorite chips are On The Border Tortilla Chips and can be found at your local Wal-mart or Sams Club. They are the perfect combination of sweet and salty for this dish. 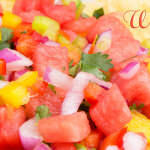 I can’t wait for watermelon season to come around again to break out this summer salsa dip. 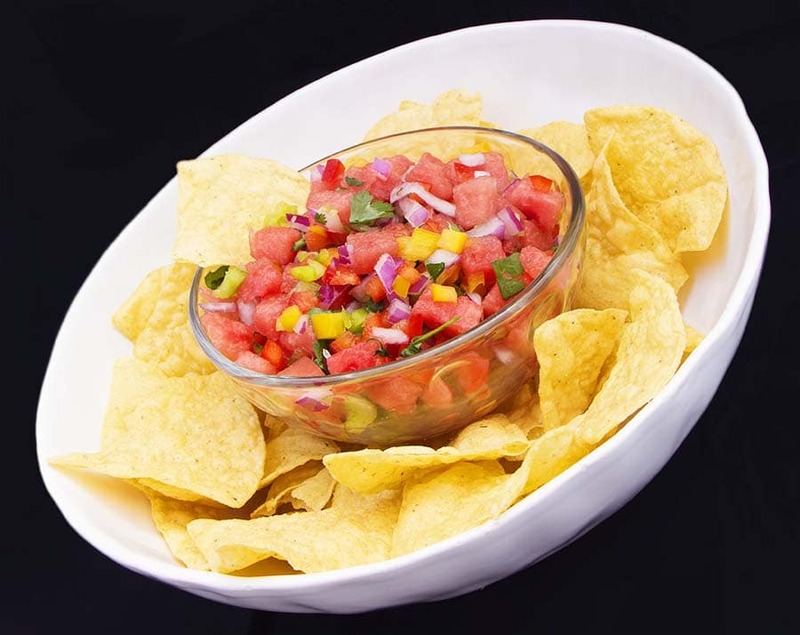 Use as a side dish or an appetizer to a meal, Watermelon Salsa is the perfect sweet and salty to make any main dish pop with flavor. Seed and chop red, green, yellow bell Pepper and jalapenos. Place in mixing bowl. Chop cilantro removing stems were possible. Place in mixing bowl. 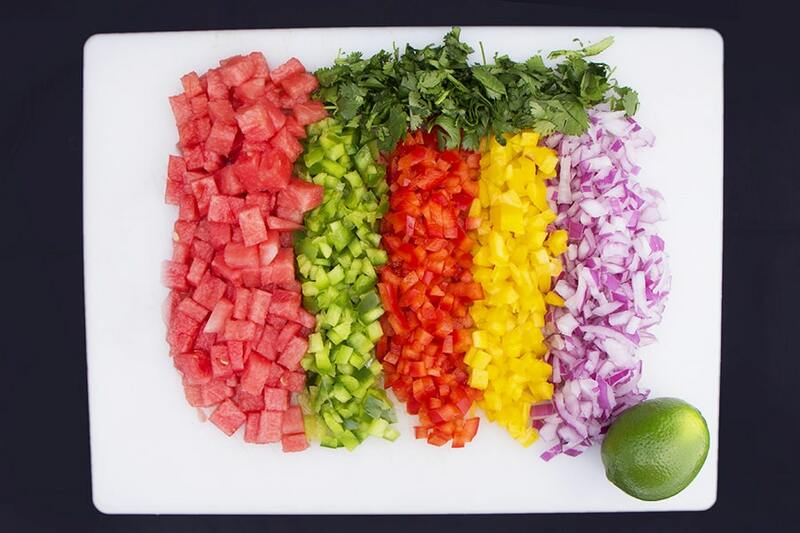 Toss ingredients together to mix.